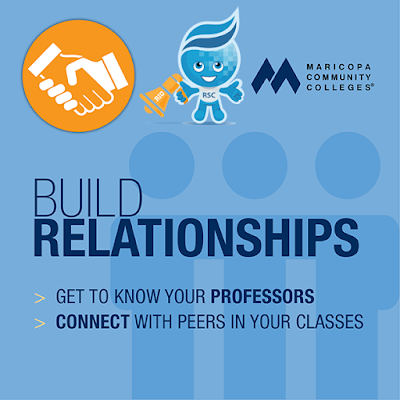 Rio Salado College | RioNews: Rio Waves Tip for Success: Build Relationships! Rio Waves Tip for Success: Build Relationships! Online doesn't mean you have to go it alone! Meet new people, learn about student resources, work on community projects-- and have a little fun by taking part in Rio Salado's Student Life and Leadership clubs and events. Learn more by visiting this web page and look for upcoming event news by checking this blog, our other social media channels and your student email account.